Today is our awesome monthly feature, Photo 101, which is all about photography! It has been a big hit with you gorgeous ladies, and I am so happy to be answering your photo-related questions again and sharing a few tips along the way!! Each month, we will talk about various topics, such as: taking a great pictures with your iPhone, where to print you images, photo storage, and much more! This month is all about being a mom with a camera! 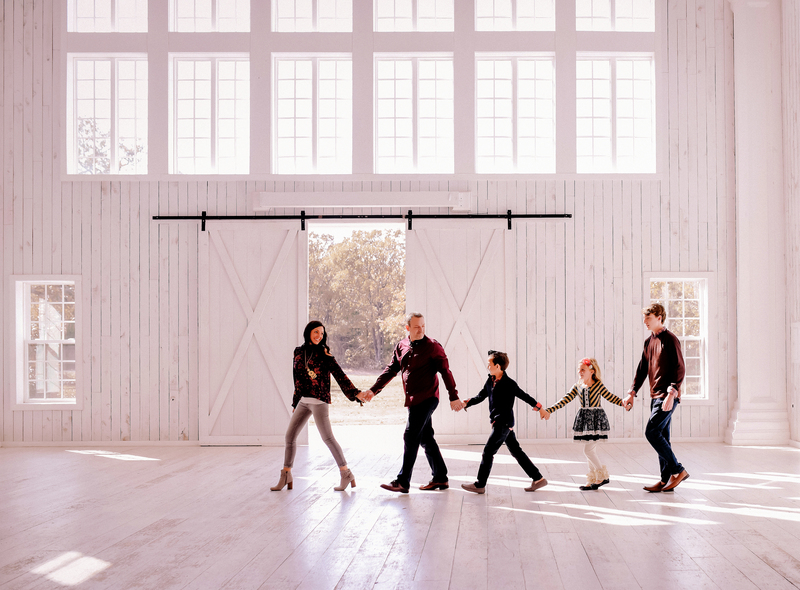 So, here are my top 5 favorite pro tips for capturing great images of your kids and your whole families! As mamas, we all want to get adorable shots of our kids! Because of this, we can add a lot of pressure for our kiddos when we pull out our camera. Our kids are super smart and pick up on our stress, so my first tip is to relax and make picture taking a positive experience! Not every photo opp has to be perfect. Sometimes, you just have to know that #mamatried and move along without getting too upset! haha! Okay, I know this sounds simple, but this can really make the difference between an okay picture and an amazing picture! If you are indoors, make sure your background is free of distractions, messes, etc. If you are inside, find a wall with interesting texture (brick, metal, old wood) to use as a backdrop. Even a blank wall is a great backdrop as well! Be creative! This step requires some forethought, but it is so valuable! Tip 3: Encourage your kids to have fun! My favorite pictures of my kids are always a result of them just being regular kids. Tell jokes, let them be silly, dance around a little….letting them loosen up so their little personality can shine gives you all those great REAL smiles that us mamas love! Tip 4: A reward system never hurts. 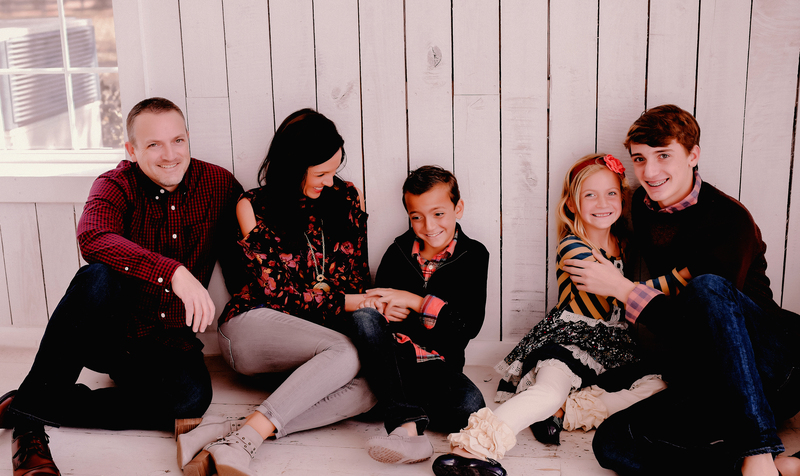 I am not afraid to give out consequences to our kiddos, but I have found that a reward based system seems to work better for our family when it comes to picture taking. You can discuss what behaviors are appropriate in front of the camera (if you have a kiddo who has needs this), what your goals are for the photos, and what the reward might be after they finish. My kids have earned everything from lip gloss to tortillas to staying up later at bed time–I usually ask what the kids would like to earn and try to go from there…feel free to be creative with your rewards! As moms, we tend to be the ones taking the pictures in our home. So, there may not be many pictures of you with your kiddos! So, hand your camera (or iPhone) to the nearest person and ask them to take a picture with you in it. It doesn’t matter if this person is a pro photographer or not…it might be your husband or even the random person walking by, but I promise you won’t regret this decision 5 years from now. In that moment, you may look at yourself on the camera screen and see imperfection…but 5 years later, all you will see is a mama filled with love, enjoying a precious moment with her babies. So, go ahead and hop in the photo, friends! Really great tips! And I felt as if you were speaking directly to me with #5!!!! Love these!! Especially number 3. Millie Jo is currently going through the fake smile stage & honestly, that smile is painful looking 😂. I’m going to try that tip though!! Thanks girl!